TV show Taarak Mehta Ka Ooltah Chashmah yet again found a spot on the trends list for its cast. 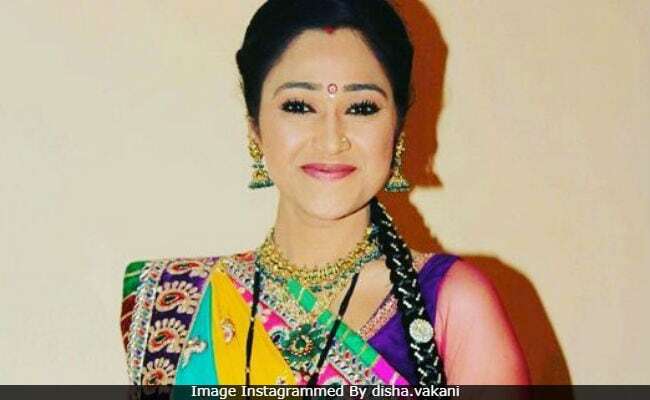 After reports of actor Nirmal Soni joining the team as Dr Hathi surfaced online, it's believed that Disha Vakani, who played Dayaben in Taarak Mehta Ka Ooltah Chashmah, might return. Times Of India reports that Disha, currently on her maternity break, will resume shooting within a couple of months. Disha welcomed a baby girl last November. "Yes, talks are on with her and if everything falls into place, the actress will resume shooting in the next two months," Taarak Mehta Ka Ooltah Chashmah producer Asit Kumar Modi told TOI. Disha Vakani had reportedly been offered an extended period of maternity leave. Before she went on leave, the makers had shot certain episodes with her. Disha Vakani played Dayaben opposite actor Dilip Joshi, who stars as Jethalal. While on leave, Disha congratulated team Taarak Mehta Ka Ooltah Chashmah for completing 2,500 episodes with an emotional post. "Missing all the cast people very much. Thanks all the fans for loving us," read an excerpt. Disha's Instagram account is full of pictures of her with Taarak Mehta Ka Ooltah Chashmah co-stars. Meanwhile, the makers of Taarak Mehta Ka Ooltah Chashmah have roped in Nirmal Soni to play Dr Hathi. He will replace Kavi Kumar Azad, who died of a cardiac arrest in July. SpotboyE reported that Nirmal Soni has already shot for an episode and will enter the show during an episode related to Ganesh Chaturthi. Is This Actor The New Dr Hathi In Taarak Mehta Ka Ooltah Chashmah?